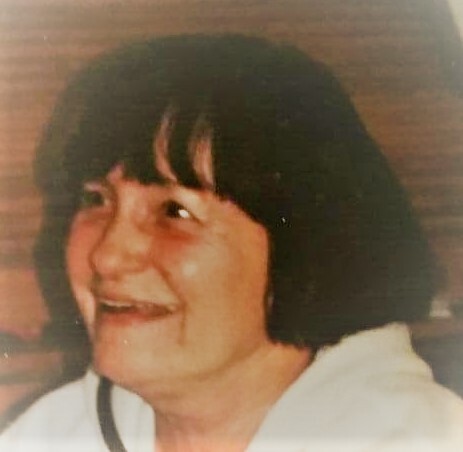 Marian nee Eiklor, Mobley, 84, of Dillsboro passed away Friday, October 12, 2018 at High Point Health in Lawrenceburg. Marian was born Tuesday, August 28, 1934 near Milan the daughter of Catherine (Puente) and Charles Eiklor. She married Jesse Mobley August 1988 and he preceded her in death January 2013. She retired from Aurora Casket in 1996 where she worked for 41 years. She was a member of Trinity Lutheran Church in Dillsboro. Her interests included animal rights, growing flowers, sewing, family activities and she loved dancing. Marian is survived by daughter Deborah (Eddie) Johnson of Osgood; son Faron/(Skip) & (Debbie) Hudson of Dillsboro; one brother Paul (Judy) Eiklor of Milan. She was blessed with 5 grandchildren, 6 great grandchildren and 6 great, great grandchildren. She leaves behind many friends, including two very special ones: Jennifer Hutslar and Janeen McGuire. She was preceded in death by her husband and her parents. A service to celebrate the life of Marian will be 11 AM, Thursday, October 18, 2018 at Filter-DeVries-Moore Funeral Home in Dillsboro with The Rev. Richard Kolaskey officiating. Burial will follow in Oakdale Cemetery, Dillsboro. Family and friends may gather to share and remember Marian 9 - 11 AM Thursday also at the funeral home. Memorials may be given in honor of Marian to the Ripley County Humane Society. Filter-DeVries-Moore Funeral Home entrusted with arrangements, 12887 Lenover Street, Box 146, Dillsboro, IN 47018, (812) 432-5480. You may go to filterdevriesmoorefuneralhome to leave an online condolence message for the family.